Annemarie Jacir’s family drama, Wajib follows father, Abu Shadi (Mohammad Bakri) and his estranged son, Shadi (Saleh Bakri), as they hand deliver wedding invitations in Nazareth. The coming together of jet setting son and his traditional father highlights the differences of what it is to be a Palestinian living in Israel and a Palestinian living abroad. The leads, played by real-life father and son bring an authenticity to an already sincere narrative. Shadi has relocated to Italy, returning to Nazareth for his sister’s wedding. They struggle to see eye to eye throughout the film. 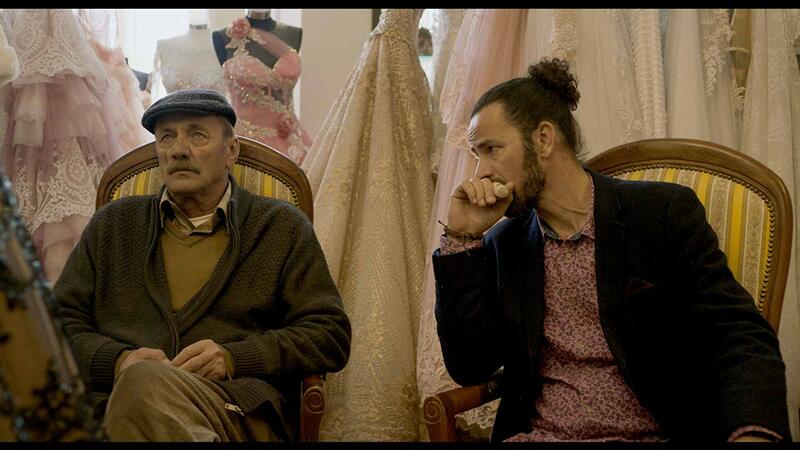 Abu Shadi, of the older generation, accepts his life in Israel while Shadi fights against it. They constantly bicker with one another while their banged up volvo carries them from house to house.